Mila Realty is the fastest growing Windermere property management company. Windermere is the most preferred area because the real estate properties in this area match any taste and fit any budget. The variety of condos, townhouse, villas, or single family homes impress both the investors and renters. Windermere is all about location and high quality of living. It is close to Disney World and Orlando Convention Center. Also, it is close to prestigious Dr. Phillips area in Orlando where most famous Orlando restaurants are located. Welcome to the world of Central Florida property management and real estate investment. What we know today is that after purchasing a rental home, many homeowners like to give a shot and try to be a landlord. Pursuing this path homeowner will advertise the property, show the property, negotiate the lease terms, execute the lease, run inspections, collect the rent, and maintain the property. It sounds like too much work for one person. So, after 1-2 years of trying, homeowners decide to hire a management company to mange rental property professionally. Please note that there is a difference of being professional property manager and not professional management. Most of property managers in Orlando area will say that they are commit to values and reputation. They treat people fairly, reasonably, and respectfully. And every one says we are the best property management company. But what does it even mean? Often there is nothing behind this words. What really makes Mila Realty different is dedicated customer support specialists. We not only talking about good service, but we commit to providing it. Our agents are more than leasing agents. We know our homeowners by name. The main advantages of working with Mila Realty are fast tenant placement, money back guarantee, and tenant guarantee. We also sensitive to our homeowners’ needs. We are flexible. When you need our help, we will go extra mile to help you out. We truly make here to make it easy for investors. We have property management software to manage and real estate MLS system to advertise. We also offer owner portal and direct deposits. Our customer support is always available. If homeowner ever needs support, there are dedicated Mila Realty property managers who can be reached any time. We have a bright future. Mila Realty is the fastest growing Orlando property management team. However, our growth is not just about numbers. We are growing community of both homeowners and tenants. We are built on trust and safety. Read what other homeowners say about our team. Because we have homeowner centric operations, we are known as leading property management company in Orlando. We can manage whether five rental properties or 500 because we are the platform with the tools to help homeowners meet their goals. Today, Mila Realty manages condos, pool homes, townhouse villas, and single family properties in more than seven cities across four counties in Florida. Invertir en BIenes Raíces a cambio de un estatus legal migratorio se ha convertido en un buen negocio tanto para la economía de los Estados Unidos como para Inversionistas extranjeros que buscan una legalización dentro de los Estados Unidos por medio del programa federal EB-5. El programa de visa EB-5 ha existido desde 1990, pero ha sido hasta la recesión económica que vivió los Estados Unidos que los extranjeros inversionistas vieron en los Estados Unidos una joya de inversión en bienes raíces y a su vez los Estados Unidos tomó estas inversiones como ayuda para la mala economía que estaban enfrentando. Por medio del programa federal EB-5 los extranjeros que inviertan en propiedades en los estados Unidos aplican para obtener la Green Card o residencia tanto para el inversionista como para su familia y dependientes menores de 21 años. Las compañías constructoras son las más entusiasmadas con el programa federal EB-5, por medio del cual buscan extranjeros deseosos de invertir en bienes raíces a cambio de que se les tramita la Visa EB-5. Es más beneficioso para las compañías de bienes raíces recibir el financiamiento de inversionistas extranjeros que están de acuerdo en obtener un retorno más bajo de lo que los bancos ofrecen a las constructoras a cambio de la Green card o residencia por ser inversionistas. Sin embargo, Un extranjero que busca invertir en bienes raíces dentro de los Estados Unidos por medio de un financiamiento, existen bancos que proveen préstamos a extranjeros que deseen comprar una propiedad en los Estados Unidos con un 70% del valor de la propiedad. Both Florida cities Miami and West Palm Beach are highly demanded ares for the U.S. real estate market. It is not always easy to find knowledgeable Realtor who can be trusted. The U.S. policies and regulations can be complicates for domestic real estate owners or buyers without mentioning the stress foreign buyers or sellers may have. Mila Realty highly recommends to work only with Top Realtors who are properly licensed and local experts. The Top Choice Realtor in Miami area is Audrey Benassi who provides top notch real estate services. 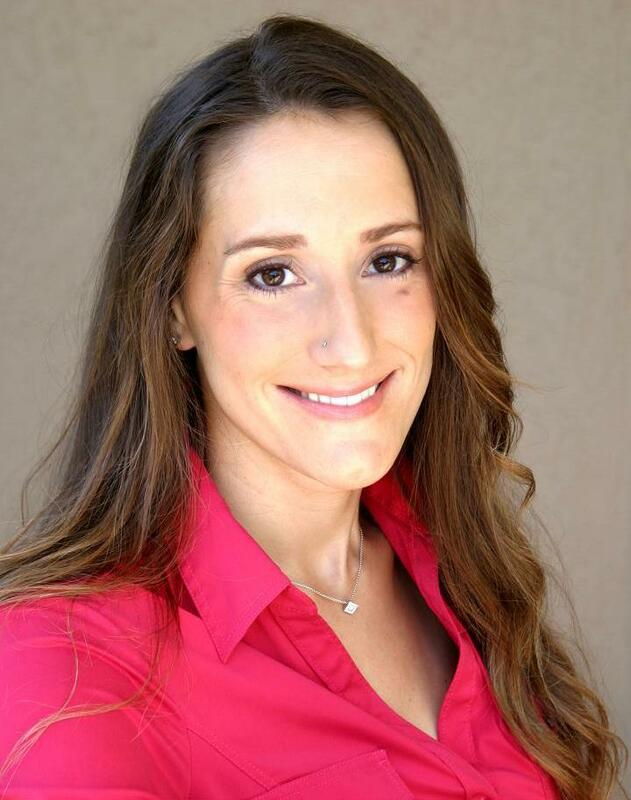 Audrey Benassi is a Florida licensed real estate broker with Keller Williams Realty and Southern REO South Florida with more than eleven years experience selling real estate in both the Southeast Florida (West Palm Beach south to Miami) and Central Florida communities. She is fluent in English, Spanish and French and has extensive experience working with International buyers and sellers, second home and investment property transactions. This question becomes popular throughout real estate property management blogs and discussions. To answer discussion, four main topics need to me addressed. Among them real estate purchasing, property fixing, property renting, managing the investment, and selling the real estate. Many agents will say that they are real estate turnkey operation provides, but in reality only few property management companies in Orlando may handle it efficiently. Mila Realty is proud provider of the complex service package in property management industry. When turnkey operations discussed, it is not simple to find proper real estate and not every real estate agent can do it. Besides of the math, an experience property manager clearly understands what the homeowner or investor ay expect from the rental property. Mila Realty investors inquire about 11-13% return on investment. In order to provide them with such high return, property management associates are aware of the real estate market, the possible expenses to fir or maintain property , and the potential income that property may generate. Just to save the money to the homeowners, Mila Realty property management services provide investors with low cost maintenance. Property management in-house maintenance team enables Mila Realty to save its homeowners decent amount of money. When outside contractors need to be hired, Mila Realty always collects several quotes to compare the opportunities. The goal of real estate invertors is always priority for honest Mila Realty property managers. Therefore, the best value service is always selected. When the property is fixed Mila Realty property management will find the qualified tenant for the rental home. The screening system property manager utilizes is very detailed. Within minutes after application completion, our leasing agent can review the applicants ‘s background, credit score, eviction record, and criminal record. This approach helps to secure the property and homeowners interest by reducing the rental risks. In the real estate investment there’s always up and down time. When real estate market demand is high, and property reaches its highest value, the homeowner may decide to sell it. Mila Realty property management services can handle real estate selling transactions and more efficient then any other Orlando real estate brokerage and management company. Most importantly, Mila Realty real estate commission rate is negotiable. This description of turnkey operation contacted by Mila Realty, the most reliable property management company in Orlando. There are many property management companies in Central Florida, but they are not he same. Homeowners and investors need to select experience and licensed agents or property managers to protect their real estate and economic interest. Mila Realty property management services in Orlando is primary 25 years or extensive experience assisting real estate investors with their decision and leading them to success. Interested to read about property management services? Click here. Or contact us to discuss how to unleash real estate potential. Mila Realty administración de propiedades en Winter Haven ofrecido sus servicios de Administración y por mas de 5 años y ahora ha expandido sus servicios de Administración e Inversion de Bienes Raíces a Winter Haven Polk County. Winter Haven es una ciudad pequena en Polk County. Winter Haven es famoso por el paque tematico y aquatico Legoland www.legoland.com Muchos inversionistas han puesto sus ojos al gran inventario de casas reposeidas en Winter Haven. Hoy en día, la bienes raíces se ha vuelto un atractivo en Winter Haven con un listado de casas en remate hasta con un 60% por debajo del valor del mercado. Una buena compania de bienes raíces podrá encontrar una propiedad de 2 cuartos en buenas condiciones por solo $40000. Sin embargo, los inversionistas de bienes raíces (investment property) tiene que tomar en consideración que el retorno de la inversión podría no ser lo que está esperando. El futuro de Winter Haven es muy prometedor tanto para inversionistas como para un comprador que busca vivir en una ciudad de estilo histórico. Es una decisión inteligente comprar e invertir en un bien inmueble localizado en una ciudad pequeña que tiene desde centro comerciales, entretenimientos hasta poder encontrar buenas plazas de trabajo y que ofrece buenos niveles de educación todo cerca y dentro de la ciudad. Winter Haven con una población en crecimiento es un gran lugar para invertir; para quien busca comprar una propiedad para repararla y volverla vender a un precio mayor, lo que se conoce como flip. En resumen, el inversionista que busca invertir en bienes raíces ya sea para rentarla, vivirla, o para repararla y volver a venderla va a necesitar de una Compañía de Bienes Raíces confiable y crediticia. Tanto inversionistas como dueños de propiedades deberían contratar una Compañía de Bienes Raices fácil de comunicarse en un proceso de inversión o cuando un problema se presenta en la propiedad. También que entienda el significado de invertir en bienes raíces. Mila Realty Winter Haven Administración y Mantenimiento de Propiedades provee toda la experiencia con un grupo completo de expertos en inversiones de bienes raíces y arreglos de propiedades. Mila Realty Administración de propiedades en Winter Haven y Mantenimiento de Propiedades solo cobra un fee de 7% y no tiene ningún cobro por renovar contrato o servicio. Contrata Mila Realty para un análisis GRATIS de Administración y Mantenimiento de su Propiedad. Mila Realty has been servicing Orlando property management needs for over five years and last month it expanded our services to Winter Haven property management. Winter Haven is a small city in Polk County, Florida. The population of the city is about 30k. Just like Orlando become a home to Disney World, Winter Haven is popular for Legoland https://www.legoland.com. Not surprisingly that many investors are interested to purchase rental properties in this area. Nowadays real estate in Winter Haven is attractive because of the prices. A good realtor can find a single family rental property with two bedrooms in ok condition for as low as $40k. However, real estate investors need to realize that their return on investment may not be what is expected. It looks like real estate demand might be low; therefore, low income rate and high vacancy can be expected. Also, Winter Haven offers a variety of the properties in historic district. It means a lot of maintenance due to the property age. Future of Winter Haven is very promising. As city governor says about Winter Haven: “This close-knit community has a diverse population with a variety of historic neighborhoods to choose from. Everything you need is inside the City limits from shopping and recreation to good jobs and education. By choosing to live, work, learn and play in Winter Haven, you have made the wise choice to be part of the Winter Haven lifestyle”. Growth of the city population should be expected within next years. For real estate investors who like to flip properties, Winter Haven is a good deal. As long as attractions zone expanding, Winter Haven vacation home industry becomes popular. Hospitality industry creates jobs, and houses will welcome their residents and tenants. In sum, whether real estate investors purchase flip properties, income properties, or rental properties, a reliable partner who is expert in Winter Haven property management industry will be needed. Homeowners should hire property managers who are easy to be reached and who knows what real estate investment means. They need to know that high income and low expenses is the goal of real estate investor. Mila Realty Winter Haven property management company provides all star management. It has complete in house team. Less external contractors, more liability concentrated in ones hands. Mila Realty Winter Haven property management services bit any other company. Property management fee is only 7% & no lease renewal fee. Contact Mila Realty today for FREE property management analysis. One of our rental property owners was upset when we asked him to complete w-9 form. Then he said that he does not have the U.S. Tax ID. Many foreign real estate investors often face the same problem. Likely, this is rather a formal procedure than a problem. What foreign property owner needs to do is to apply for ITIN or TAX ID. Without TAX ID, rental property management project may not succeed. Rental property management company Mila Realty offers its nonresident homeowners a simple and convenient application process. We hire a licensed and approved by Internal Revenue Services (IRS) tax agent. A tax agent completes an application and emails to the homeowner for a signature. Property owner needs to return signed application by email. Since tax agent is in Kissimmee, Florida, and homeowner often is outside of the U.S., a brief Skype conference will be scheduled to verify rental property owner’s identity. Property manager creates a letter to IRS asking to assign an ITIN number to the homeowner. The main purpose of having a tax Id is to report a renting income that rental property may generate. Therefore, Tax ID is a must for every foreign investor. Rental Property Management Company is liable for rental income. IRS said that real property manager who collects rent on behalf of a foreign owner of real property is considered a withholding agent and is personally and primarily liable for any tax that must be withheld. This is why property manager needs to make sure that foreign homeowner obtains Tax ID. At the end of the year property management company will provide 1099 form, which will report all the income that rental property produced. Property managers who do not comply with these rules are liable, either individually or through their company, for 30 percent of gross rents, plus penalties and interest. It takes some time IRS to review the application and assign a Tax ID number. While application is pending, property manager may need to withhold 30 percent from the homeowner’s rental income. For details visit https://www.irs.gov/individuals/international-taxpayers. Note that this article does not provide any legal advises to its readers. 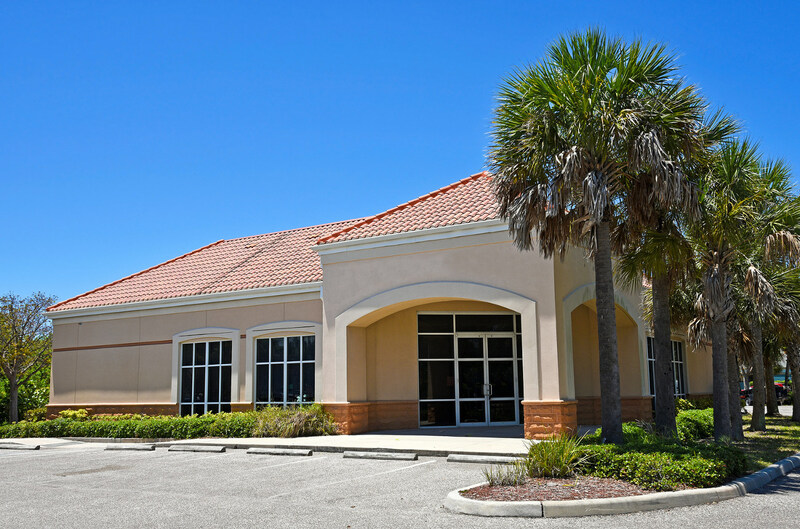 Mila Realty Commercial Property Management Orlando is team of experienced property managers. Locally owned and operated. Our expertise enables us to ensure that your real estate investments yield the highest occupancy, highest rental rates, lowest maintenance expenses. Most importantly, highest rate of return possible. 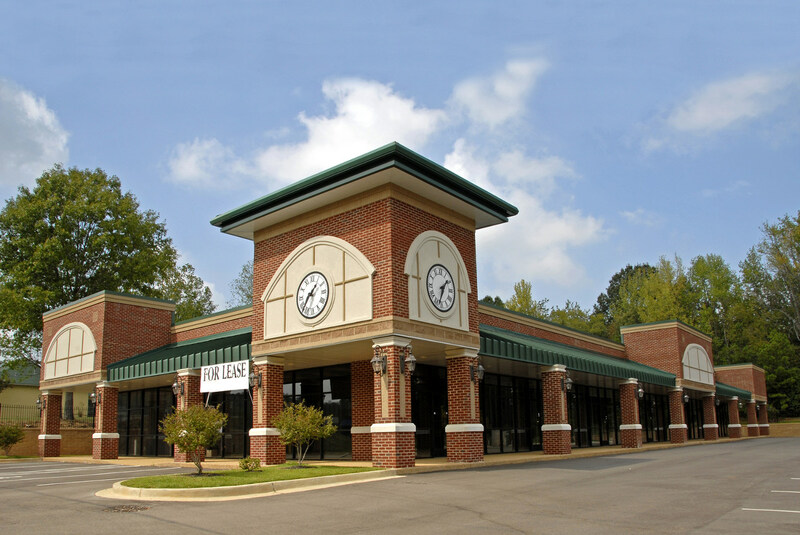 We specialize in leasing and management of commercial properties such us retail, retail, office, and warehouses, storages, and industries spaces. We cover Orange, Osceola, Polk, and Seminole counties as well as the cities Orlando, Kissimmee, and Davenport. Do not seek any longer, contact today for a complimentary Comparative Market Analysis (CMA), free estimate, and any commercial real estate questions. 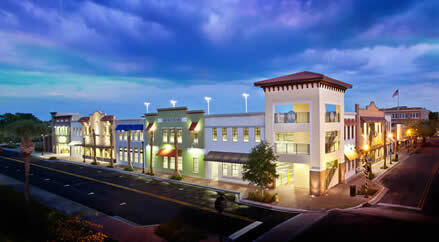 Or for more information about Mila Realty Commercial Property Management Orlando, please fill out the contact form. Full bank, property and tenant accounting to keep property owner’s record keeping simple and accurate. We provide secure online access to tenants and accept rent payments online. property management service Orlando property management is what needed when real estate investment is discussed. Orlando and Kissimmee are popular locations for investors. And so are professional companies in Orlando property management. Mila Realty is your full service affordable company that offers professional property management. Our services are advertising, tenant selection, maintenance coordination, and more. For every property owner or investor who chooses us we offer complete property management package. You want a strong expert to manage your valuable asset. We are here to serve you and bring you peace of mind. Your investment is safe with us. To try us is risks free because we offer free property management services. Mila Realty Orlando property management is much more than making sure that swimming pool is clean and lawn is maintained. There are many legal aspects that require attention. For example, taxes, licensing, property compliance, and so forth. It can be complicated, but we are here to help. For example how many homeowners and investors may know that Osceola and Orange counties require Tangible Personal Property Tax Return to be filed? Very few. However, according http://www.property-appraiser.org/ Florida Statute 193.052 requires that all tangible personal property to be reported each year to the Property Appraisers Office. And it has a deadline. If homeowner receive a return, its because Local government office has determined that property is subject for report. Report needs to reflect all tangible property that rental property may contain. The good news is that investor may file for an exemption from the property taxes in the amount of $25,000 on assessed value for tangible personal property. This exemption applies to business tangible personal property. Homeowner is still required to file a Tangible Personal Property Tax Return to receive this exemption. 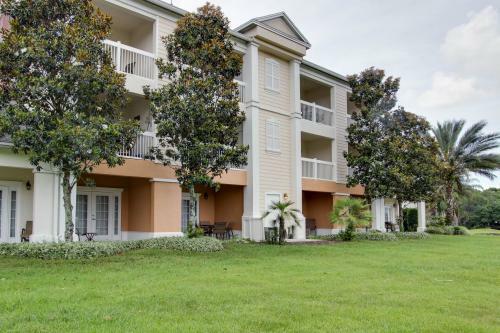 This is just one example how local Orlando property management company owned and operated by Americans can be beneficial for real estate investors. Mila Realty takes a pride in providing professional, honest, and ethical service to its clients and looks forward to assisting homeowners with Orlando & Windermere property management needs. Contact us today.